At Effie Sofos, we are a small dental team that treats each patient personally. As a team, we work together and create the perfect dental experience for you. Leading our efforts is Dr. Effie Sofos. Dr. Effie Sofos has been practicing dentistry and caring for the dental health of individuals and families in Emerson, New Jersey for over 30 years. She not only keeps up to date with the latest technology, but also ensures that her patients feel comfortable and at ease during their visits to her office. 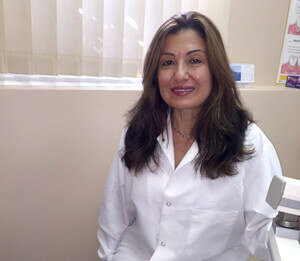 Dr. Sofos has two degrees from the Academy of Facial Cosmetics which has allowed her to create and enhance the unique smile of each individual.